While generally being bizarre in presentation, Indie games tend to speak to the heart of gamers. Classic platforming that pays homage to our gaming roots, games like Bennu (Once a Bird) give us very unique co-op experiences. 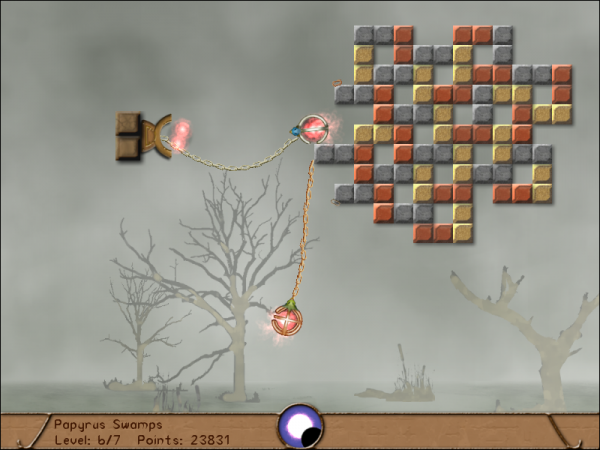 Bennu is a puzzle platforming game with an intriguing "leap-frog" style co-op. That is to say, when a rope can connect with an environment, it can also connect to your swinging co-op partner for a little added boost in whatever direction you're headed. Bennu, from what we've derived from the trailer, is a bird-like-creature that has to maneuver its way through obstacles and bosses, using a unique physics engine to launch itself from place to place. Of course, having the bizarre aspects such as a bird-like-creatures, and bouncing ropes to propel through a level is difficult to properly explain. So, for your viewing and understanding pleasure, check out the trailer yourself! Thanks to Tino for the tip! Page created in 0.5308 seconds.